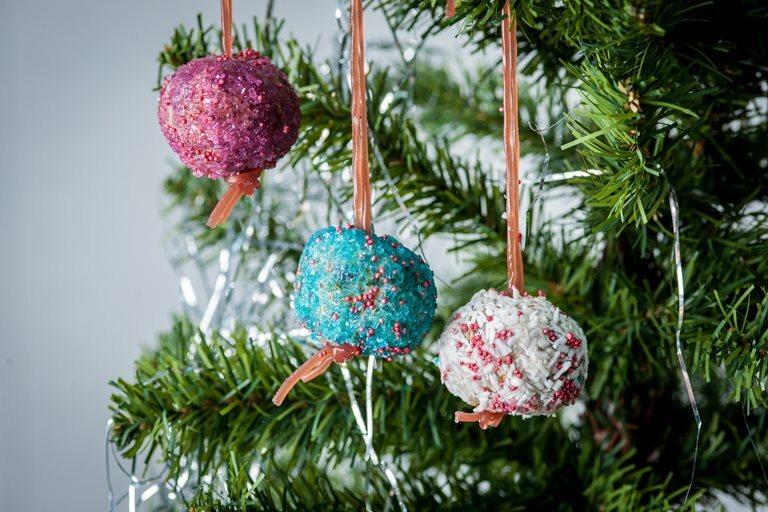 With muesli and dried fruits, these edible Christmas baubles are a fun Christmas baking project to embark on, and mean you're never short of decorations for the tree. Lisa Allen coats the sticky cereal mix in a yoghurt syrup that means you can decorate to your heart's content, before hanging on the tree with liquorice (or strawberry) shoelaces. To keep for longer, wrap the baubles in foil and decorate as you wish.